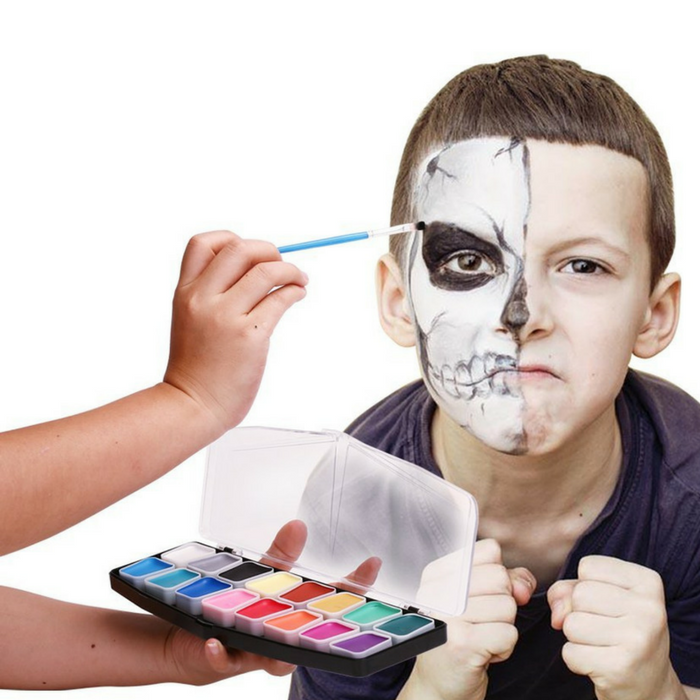 Airmark Face Painting Kit Just $16.74! Down From $45.52! You are here: Home / Great Deals / Amazon Deals / Airmark Face Painting Kit Just $16.74! Down From $45.52! Amazon is currently offering this Airmark Face Painting Kit for just $16.74 down from $45.42 when you enter promo code EOUGROTN at checkout! PLUS, it’s FREE shipping with Amazon Prime or for orders over $25! Get your 100% safe, non-toxic, water-based face paint! There are 3 high quality brushes and 36 stencils. Simply dip the brush in some water and blend the color with your brush. so you will have no problems creating your own color palette. When it is time to remove the Face Paint, just remove in a breeze with soap and water. The stencils have been carefully selected, offering a choice of popular designs for both boys and girls and each stencil is very easy to use. This face paint kit offers an unforgettable experience and is a great gift for your kids. Perfect for birthday parties, church & school events, Halloween or just a night of fun at home! UPGRADE FACE PAINTING SET:16 colored new set and 36 Stencils & 3 Brushes,Upgrade version is more favorable than other brands. SAFETY FIRST FOR SENSITIVE SKIN:All our ingredients are laboratory-tested and FDA compliant. Airmark Cosmetic Grade face painting sets are hypoallergenic & Paraben-free, completely nontoxic, water based. It is gentle on sensitive skin and perfectly safe for kids.Nevertheless,we always recommend you to test the face paint set on a small area first. HUGE COVERAGE:10 ml per color to be used hundreds of times! The colors blend very easily with each other and it makes Great face painting kit for Halloween,festivals, carnivals,birthday parties,theatre performances,prime sport events,children’s parties. EASY ON and EASY OFF:Just add a drop or 2 of water to activate into a creamy bold and vibrant paint. The face paints for kids & adults are easy to remove as they are to put on. They can be removed easily with soapy and warm water. But don’t need for any harsh removers or scrubbing. EASY STORAGE:This face painting palette has a hard case that protects the face paints and can be used to mix colors.each block of color secured inside the box there is no dangling.